At this year’s Addy Awards, we saw a huge array of award-winning pieces, spanning from television to magazine ads and beyond. Of course, you can count on Backyard Studios to enter and win in the Digital Advertising and Interactive categories. Take a look at our full list of winners and make sure to visit their websites! A big thank you to the judges and to AAF San Antonio for making the 2013 Addy Awards a tremendous success. The Mesquite is the student newspaper for Texas A&M University San Antonio that aims to challenge, prepare and empower students throughout their college years and beyond. 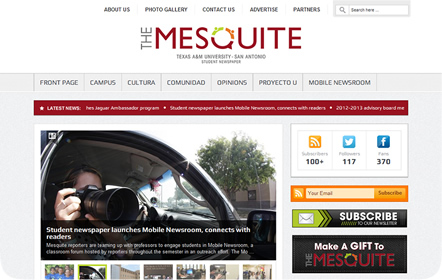 Supported by the School of Arts and Sciences, The Mesquite offers the latest news within the campus and the San Antonio community at large. Students work with the professionals of San Antonio-Express News, Univision, La Prensa and NOWCast to ensure the latest and most accurate news is provided. Entries in the Responsive Design category were judged based on how well a website adapts from a computer screen to a mobile device. The Mesquite’s website is completely responsive while keeping the latest news and images on the front page, even on a mobile device. 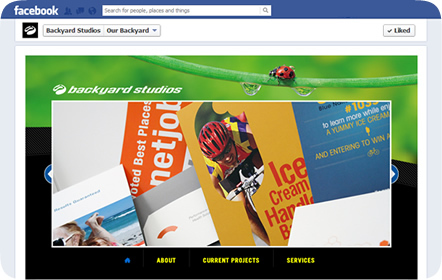 For our Facebook page, we built our own mini-site with samples of our current work available to view. From the mini-site, future clients can also get in touch with us by sending us a message through the form we’ve included. 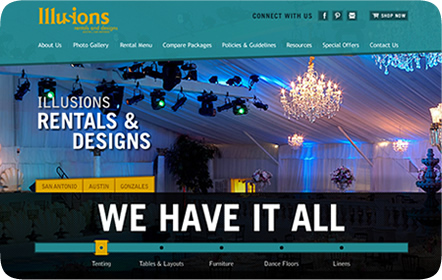 Illusions Rentals & Designs was entered into the Consumer Websites category, as this company offers a service to the public for a fee. With wide images and festive colors, Illusions Rentals & Designs was a stand-out website and earned us a Bronze Addy this year. 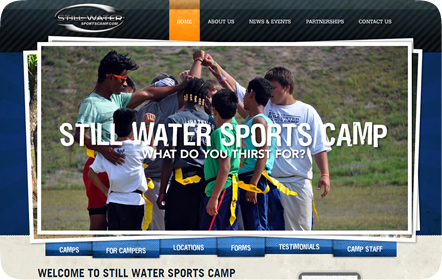 Still Water Sports Camp won a Bronze Addy in the Consumer Websites category. Many interactive features such as animated rollovers and integrated videos only added to the overall fun and active look and feel Still Water Sports Camp wanted to achieve. The Mobile Website category relied entirely on how a website appeared only on mobile devices and tablets. 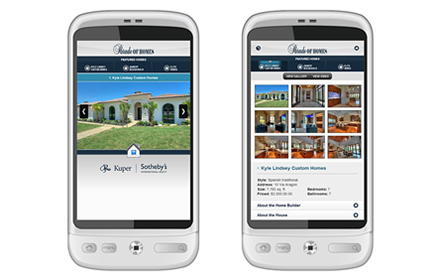 The Parade of Homes Mobile website was designed for optimum viewing and usability for cell phones while viewing the homes during the 2012 Parade of Homes tour.